Moondust came out in 2006 when Andrew Smith had set out to interview the twelve men who had walked on the moon. At the time, there were only nine alive. Three had already passed away. Smith has an easy-to-read, colloquial style, and he weaves background stories about the astronauts in with the core interviews and tries to get answers to the most fundamental question we all have: What was it like to be on the moon? We learn trivia about the intense competition in the early astronaut corps, and what their families went through during those years. We also get to know the men themselves, from the taciturn and almost reclusive Neil Armstrong to the gregarious and visionary Buzz Aldrin, and all the other astronauts that followed them on their journey. Smith juxtaposes the moon landing over his own life as a boy in Orinda, California, and what he remembers happened to him on that historic day. Moondust is at times a bit hard to follow. Its structure and the jumps back and forth and from one astronaut to the other sometimes left me guessing and mildly confused, but I was able to get past that. 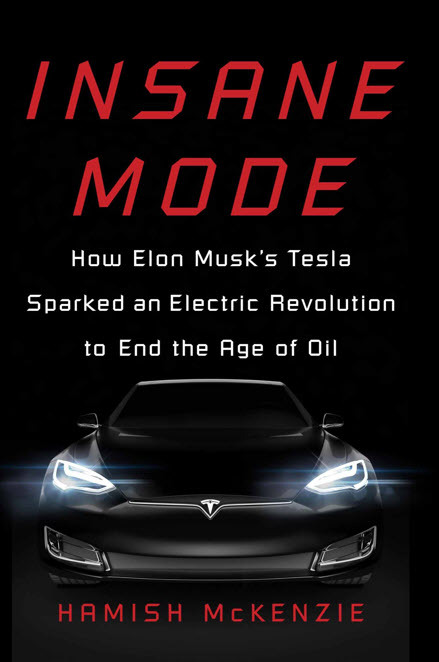 The tidbits of information, the insight, and the obvious awe the author has for the adventure of the 1960s came through and made it a worthwhile read. Sadly, as I write this, of the twelve men who walked on the moon, only four are alive anymore. That includes 88-year-old Buzz Aldrin (Apollo 11), 85-year-old David Scott (Apollo 15), 82-year-old Charlie Duke (Apollo 16) and 82-year-old Harrison Schmitt (Apollo 17). In addition to the missions that landed on the moon, there were a total of nine Apollo missions that left earth orbit and went to orbit the moon: Apollo 8, Apollo 10 and Apollo 13. The total number of men who left earth orbit is 24 and 12 of those are still alive today. Only 12 people are with us today in the history of mankind who have seen the earth as a pale blue marble in the black of space, and only four of those have walked on a body other than the earth. All of them are now well into their eighties or older. I was a 12-year-old boy when I watched the first moon landing. I was sure I would be traveling to the moon as a tourist and spending time in a moon hotel by the time my retirement age came around. I was dreaming big, and I was inspired. Yet, at this time, humanity has not sent anyone to the moon in over 46 years. The United States does not even have the capability to launch humans into space, not even to low-earth orbit. The only two nations that can do that now are Russia and China. The lack of vision and engagement by our people and our government has starved us out of adventures we took for granted 50 years ago. Moondust by Andrew Smith made me marvel about all this and it fired up my imagination. First Man follows Neil Armstrong from 1961 to 1969 on his journey to be the first man to step on the moon. We are in the space capsule with Armstrong and his fellow astronauts as they are launched, and we are in the homes and at backyard BBQs of the men and women in the early space program. In the media, and in our nostalgic memories, we think of going into space as a romantic endeavor. Watching First Man changes this, as we witness the tremendous forces acting on the fragile human body as it is strapped into a couch on top of a gigantic rocket. We see the fear and the emotional and physical stress in the eyes of the astronauts as they embark on missions where a million moving parts have to hold together, and a million sequences of events have to work perfectly, over a period of many days, and where any failure of any type results in catastrophe – and death of the astronauts. Armstrong was a cool dude who did not get rattled, either by a crash during a test flight of his experimental craft from which he bailed out literally a fraction of a second before it exploded, nor by the fury and agony of his wife who chastises him when he does not want to face his boys before leaving on his historic journey. History has shown that Armstrong’s steel nerves and calm under pressure made the mission successful. I was a twelve-year-old boy who was allowed to stay up all night on July 20, 1969. Armstrong stepped onto the moon in the wee hours of the morning local time in Germany. And I remember being in awe, and being inspired, and looking forward to a life where I knew I would eventually be able to travel to the moon as tourist and visit the Apollo-11 landing site as a historic museum exhibit. It is now over 49 years later, and I realize that I had no idea that the Apollo landings would not just be the first landings on the moon, but possibly also the last ones – in my lifetime. I liked the flying and technical scenes, and I didn’t care too much about all the stuff at home and in the back yard. The acting was okay, but didn’t blow me away. We saw a lot of footage of shake, rattle and roll, first in 1961 when Armstrong did a test flight in an X-15 where he literally skipped outside of the atmosphere by accident, then during the Gemini launch, then when the capsule went into an uncontrolled roll, and finally, when Apollo-11 launched. There was too much footage of launches from the point of view of the astronauts, but no re-entries, no landings, no recovery on the water, all the good stuff. The missions jumped forward days at a time skipping sequences that would have been interesting to me. There wasn’t a single shot of the large, looming moon during the journey there, nor any expression of awe by the journeyers. The real action that I was there to see went by too fast. We caught glimpses of the life of Neil Armstrong and his family, but we didn’t get a good enough look at the space program, and that’s what I went to see when I bought the ticket for First Man. It was a long movie, at 138 minutes, and those minutes could have been used more effectively. That being said, I am glad I went. Set in the last ice age in Europe, a tribe of Cro-Magnon men goes on a hunting trip. Keda, the chief’s son, comes along for the first time. His proud father is teaching him how to hunt, and how to be a man. But during the hunt things go horribly wrong, a buffalo charges Keda and throws him off a steep cliff. The hunting party can only assume he is dead and eventually they leave, the distraught father almost being dragged away by his friends. Miraculously, the boy survives and must now fend for himself, fight off predators, and somehow find his way home, before winter comes and makes travel impossible. When a pack of wolves attack him, he barely escapes into a tree, but he injures one of them. The wolf and the boy reluctantly form a bond and protect each other as they try to journey home. He calls the wolf Alpha. Alpha is a survival movie. We see and feel how prehistoric people lived and survived. The landscape didn’t look like Europe 20,000 years ago to me, but rather more like South Dakota, but that is a minor point. I liked the fact that the tribe didn’t speak English. That would have been too easy and too distracting. They spoke their own language, accompanied by easy to read subtitles. This helped make the film more realistic. I marvel about prehistory, and how unlikely it was that men survived at all, and how amazing it is that we’re all here today, descendants of these very Cro-Magnon men. If you have ever speculated how humans first started domesticating dogs, this is the movie to watch. I didn’t grow up as a boy in America, so I didn’t actually know the story of Christopher Robin and his stuffed animals, including the iconic Winnie the Pooh, the donkey Eeyore and of course, the piglet. Watching this movie has caught me up. It’s a story about the boy Christopher who grew up in the Hundred Acre Wood, access to which is through a magical tree. The movie is portrayed to be “not just for children” and so The Woman talked me into going to see it with her. Ok, yes, it was heartwarming, not even as corny as I expected it to be, and the acting was actually pretty good. But I have to say – this is a movie for children – really. It’s about important lessons in life. There isn’t an American alive who has not heard the name Chappaquiddick, an odd name that nobody before 1969 would have known how to even pronounce. With both of his famous brothers assassinated, Senator Ted Kennedy was the star of the Democratic party and well on his way to the White House. One fateful night, he had too much to drink and went for a drive with a young woman who was an aide to his brother before and whom he tried to recruit. He loses control of his car as he drives off a bridge. The car flips over and end up wheels up in the water. He comes to in the water outside of the car, but the car is closed, and the woman is still insight, fighting to get out. He tries to free her but is not successful and eventually walks away. It’s not clear to the viewer how this was even possible. But that’s his story. As the night progresses, he makes a number of mistakes, and by morning, the Kennedy spin machine is in full swing. We witness political power gone unchecked, when his aides start fabricating the reality they need for their wonder boy to continue to have a political future. Ted didn’t run for president for 1972, like he had planned. American history may have been forever changed that night in Chappaquiddick. Ted ran for president in 1980 but did not succeed. However, he did continue to serve in the United States Senate until his death in 2009. As a senator for 47 years, he was the fourth-longest-continuously-serving senator in U.S. history. The movie Chappaquiddick tells this mystery story for those of us that never really studied the details, and it gives an inside glimpse into one of America’s most powerful families of the 1960s. John Callahan (Joaquin Phoenix) was a 21-year-old alcoholic when he went out bar hopping with his friend Dexter (Jack Black) in his VW bug. Late at night, Dexter passed out and drove the bug into a pole at 90 miles per hour. He walked away with hardly a scratch. John was paralyzed from the shoulders down. But that didn’t stop him from drinking. 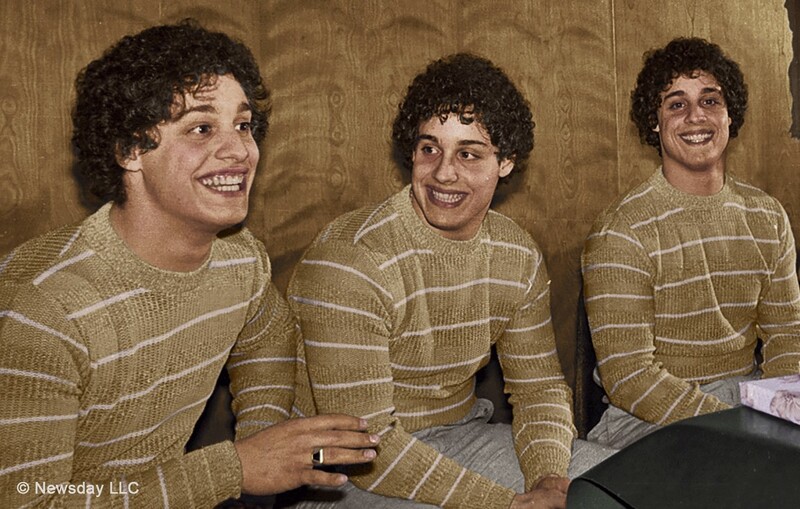 He kept at it for another six years before he found himself in a group of Alcoholics Anonymous sponsored by Donny (Jonah Hill). As he came to terms with his situation he discovered that he had a knack for dark humor and he started drawing cartoons. Eventually he was able to publish them in the local paper in Portland and, while many people were offended due to the nature of his subjects, he found an international following and fame. The movie is based on the real life story of John Callahan. Adapted by Gus Van Sant from Callaghan’s autobiography, it is a powerful treatment of addiction and alcoholism, and it illustrates vigorously what it does to a person’s dignity and well-being. Obviously most people do not have Callahan’s zest for life and humor, and his luck and skill to pull off a successful career, partly based on his experiences in life. 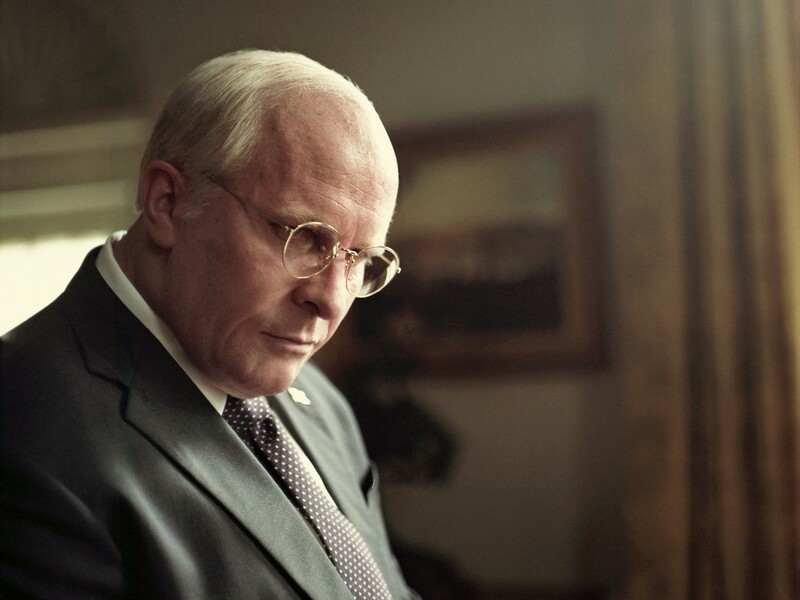 A couple of observations: Joaquin Phoenix does a remarkable job with this role. Jack Black looks like he gained an incredible amount of weight. I hardly recognized him. 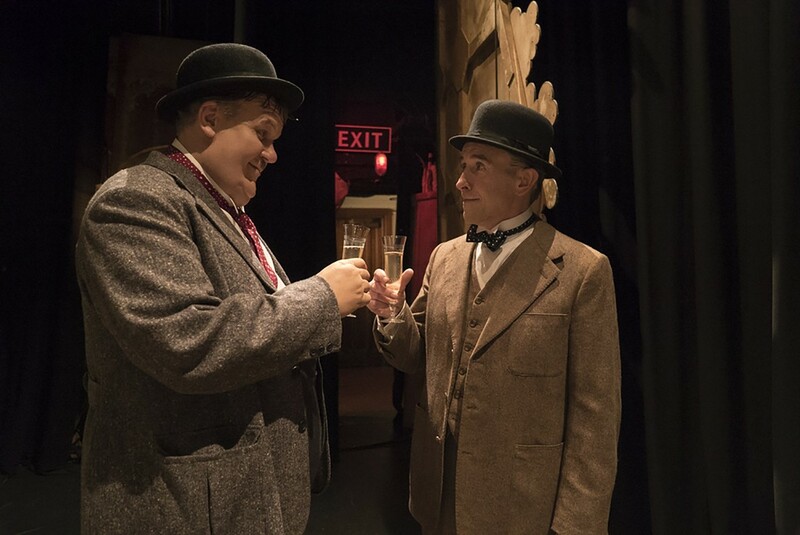 And – this is the most remarkable fact – I didn’t even realize that Donny was played by Jonah Hill (see the person on the right in the photo above). He looks so different from his usual roles, he is so much slimmer, it never even crossed my mind that it was Jonah Hill. Now I want to watch the movie again just to observe his performance. Don’t Worry, He Won’t Get Far on Foot is a powerful movie that is NOT a comedy, as the trailer might make you believe. Christoph Wilder is an airline captain licensed to fly the huge double-decker Airbus A380. On a trip from New York to Europe, the plane flies through a volcanic ash cloud that air traffic control didn’t know was there. All four engines die, and the huge plane becomes a glider over the icy North Atlantic. By sheer steel nerves and drawing on deep experience, he manages an emergency landing in the U.K. Everyone is saved, except for one elderlyt man who dies of cardiac arrest during the commotion. But the airline is worried about negative publicity and grounds him. In order to continue flying, he takes on a job with a top-secret German government research project, flying an A380 built out to be a time machine. During the maiden voyage, when they are just planning on testing the equipment, things go horribly wrong and they end up in Germany in 1939, the day before the assassination attempt on Hitler in Munich. Very quickly their time travel adventure turns into an apocalyptic nightmare with seemingly no way out, where the future of humanity is at stake. Peterson is a German writer, and the locales and the characters are all German, which I actually found refreshing, since pretty much all science fiction I read is American. The German backdrop and story line was a nice change. I was critical of the book, because the trip through the volcanic ash cloud and the aftermath took a full 25% of the book, before the interesting story even started. I made a note of that to mention it in my review, since I felt the whole thing could have been left out completely without affecting the plot in any way. So it was a slow start, but the story kept getting more and more interesting, and I kept reading. I forgave the author for the rookie start and let it go. But then there was the ending, which surprised me completely and tied it all together. In fact, the ending was so good that I changed my expected rating of the book from two to two and a half stars. A quick read, and a good addition to my time travel library. Elizabeth Sloane (Jessica Chastain) is one of the most formidable lobbyists in Washington. She is creative, but ruthless, and her reputation and success record indicates that she is ready to do whatever necessary to win. Along comes the NRA. They approach her firm and want her to take a case bolstering the NRA by attracting female voters for the cause. Since she does not agree with this message but rather has the opposite ideological view, she turns them down, and in the process ends up losing her job with her firm. She defects and takes half of her team with her. Now the battle of her life is underway, where the opponent is the NRA, one of the most powerful special interests in Washington, represented by her old firm. The odds are impossible. But Miss Sloane always wins. I watched Miss Sloane right after watching Molly’s Game and writing this review just yesterday. The two movies almost overlapped in my head, since Jessica Chastain plays a very similar person in both movies, a very bright, self-assured, articulate, determined maverick woman. Miss Sloane was released in 2016, but it is a very timely film to watch now as its subject deals with gun control, the power of the NRA lobby, corruption in government as it relates to the Second Amendment. 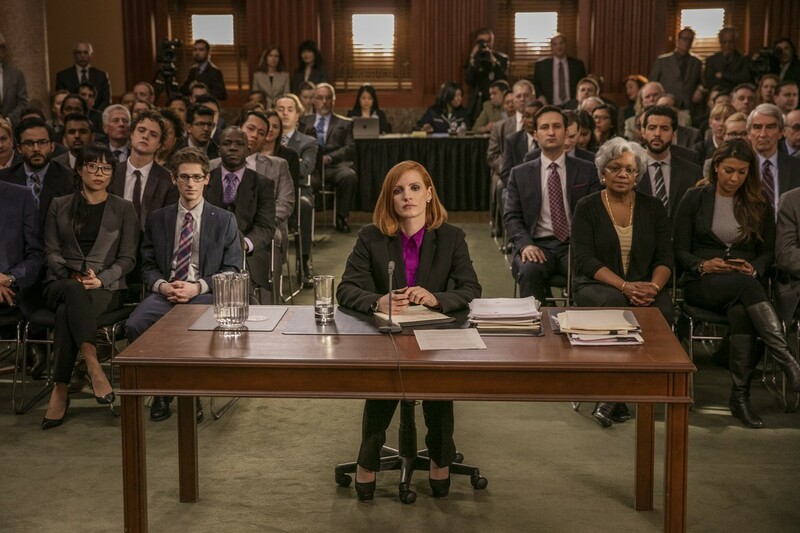 The movement the Florida high school kids set in motion after the most recent school massacre there relates perfectly to the topics Miss Sloane deals with. Of course, I am not sure if Washington really works the way it is portrayed in this movie, but if it is, it’s frightening. It seemed very realistic to me, except for the remote-controlled cockroaches. You’ll just have to watch to find out what those are about! A suicidal eccentric American billionaire industrialist accidentally crosses paths with a disembodied alien intelligence he calls Ell. The two team up. Through complex space/time machinations he is able to download his 70-year-old self into his 10-year-old body of his youth. Through a large portion of the book we accompany him reliving his life a second time around, trying to make changes to the way it went the first time. He ends up inventing a time/space travel machine. Eventually he uploads his own identity into a machine and starts becoming a disembodied intelligence himself. Ah, eternal life! 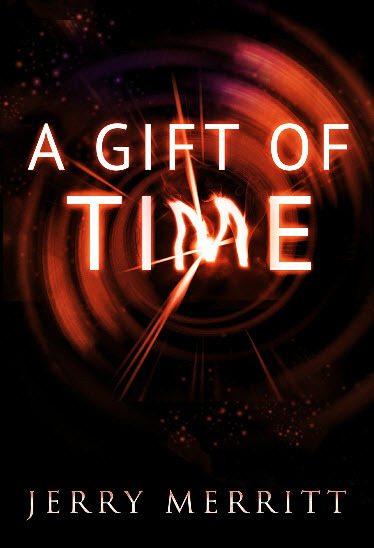 For my taste, there was too much psychobabble about disembodied intelligence, but in the end, I enjoyed reading the book, it was quite well-written, and I must say that it’s required reading for anyone interested in the time travel genre. A young Marine gets killed in 2003 in Iraq. His father, Richard “Doc” Shepherd (Steve Carell), himself a Vietnam Veteran, has to go and meet the plane that brings his son’s casket before he is buried at Arlington Cemetery. But Doc can’t do it alone. He travels and seeks out two buddies from his time in Vietnam, the former Marines Sal (Bryan Cranston), who now runs a bar, and Richard Mueller (Laurence Fishburne), who is a minister. He convinces the two of them to accompany him on his trip. Along the way, they decide they don’t want the son to be buried at Arlington, but rather in his hometown in New Hampshire. Being forced to be together, they reminisce about shared memories of the war. Each has to confront his own demons of the past, of an experience that has shaped their lives, obviously for the rest of their lives. 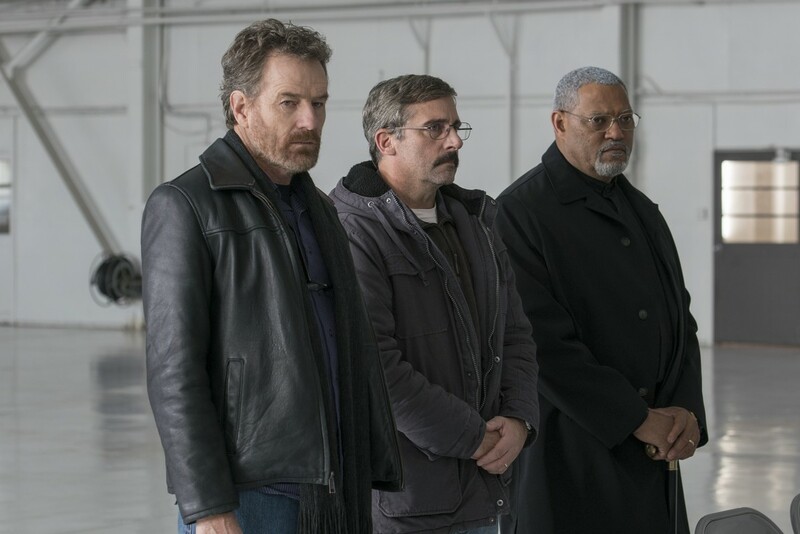 The insanity of America that keeps sending its sons and daughters to far-away lands to fight for a cause that means nothing to them, and to die for their country in the name of freedom, which is obviously a sham, came out strong as I watched Last Flag Flying. Don’t we ever learn? In a time when our leaders seems to have less scruples than ever, when they don’t hesitate to send other people’s sons and daughters into harm’s way for political convenience – and money – it is ever more important for all of us to see deep into the souls of those hapless soldiers when they come back, broken, damaged, or dead. That’s what Last Flag Standing made me think about.